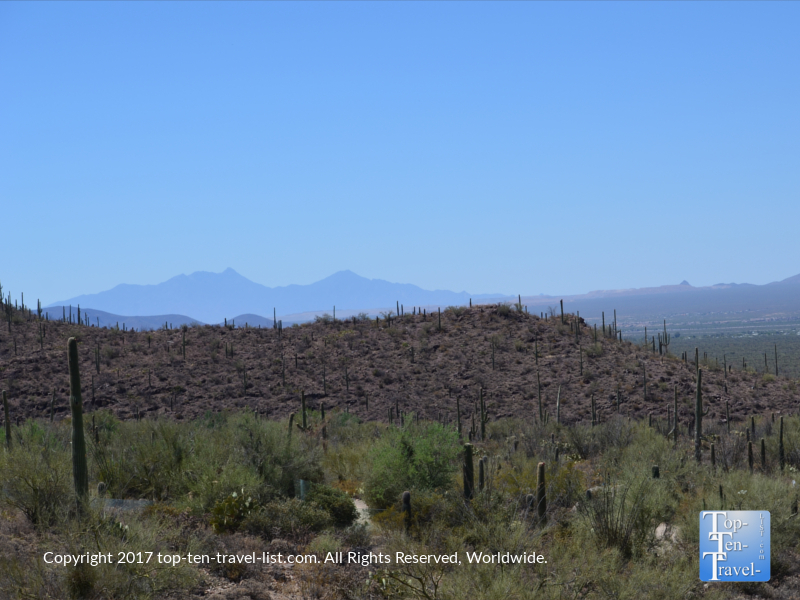 Attraction of the Week: Arizona Sonoran Desert Museum - Top Ten Travel Blog | Our experiences traveling throughout the US. 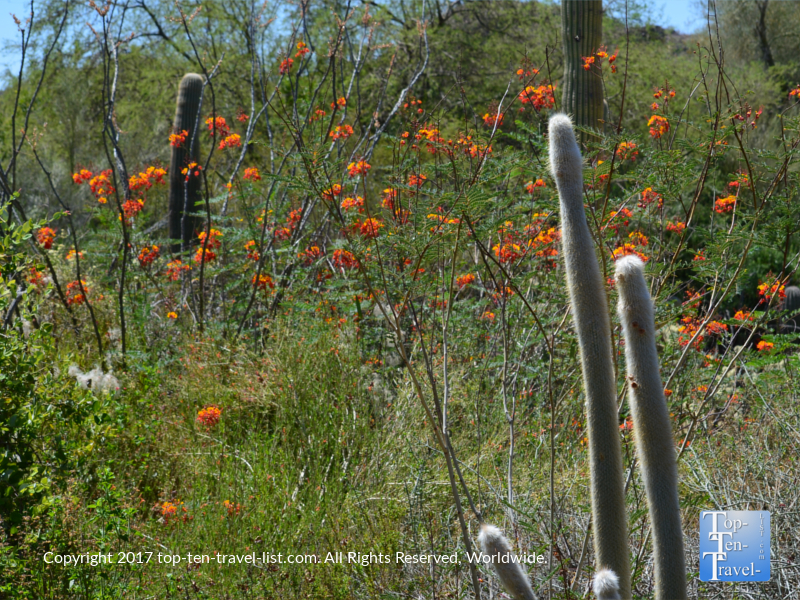 Tucson offers a number of attractions for those interested in learning more about the uniqueness of the Sonoran Desert. 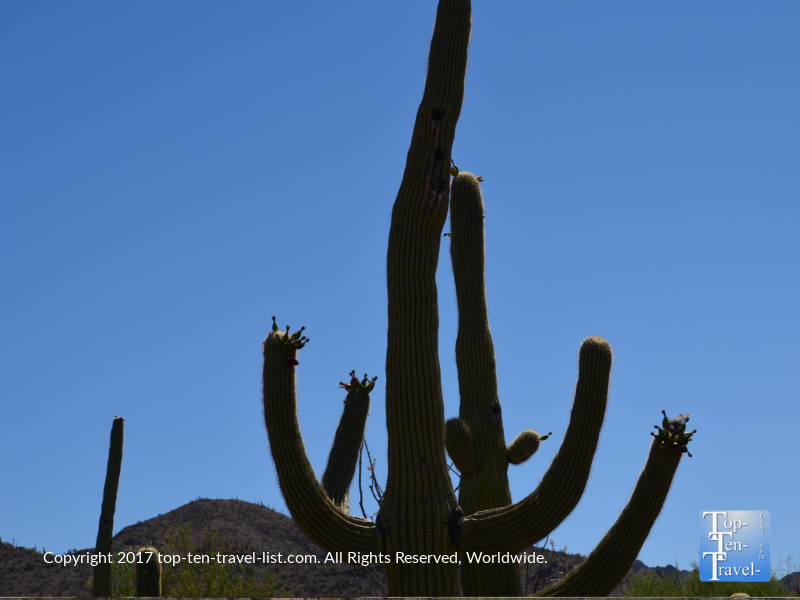 The wettest desert in North America is surprisingly home to an interesting mix of plant and animal life including the fascinating Saguaro cactus, which is only found within the Sonoran. 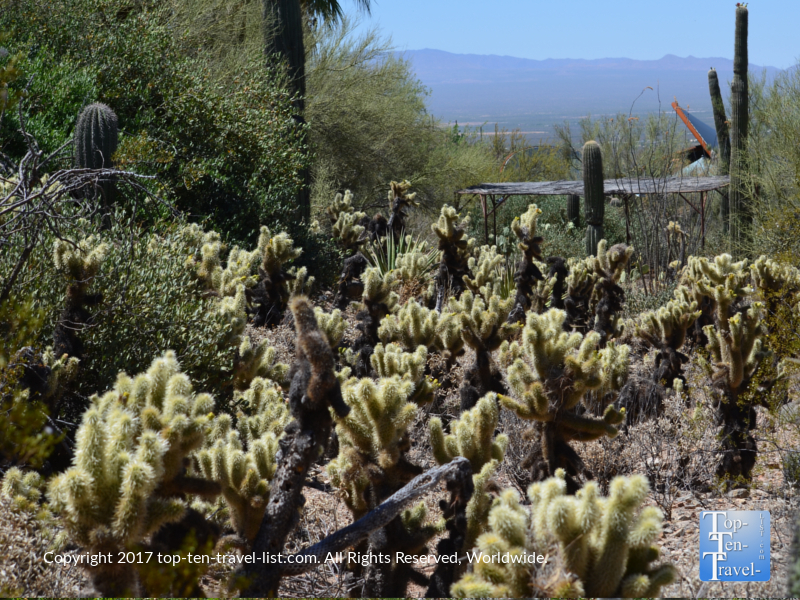 If you are looking to save some time on your visit to Tucson, a trip to the Arizona Sonoran Desert Museum is a great choice as this top rated 97 acre preserve includes a zoo, aquarium, botanical gardens, nature trails, and an art gallery all rolled into one. 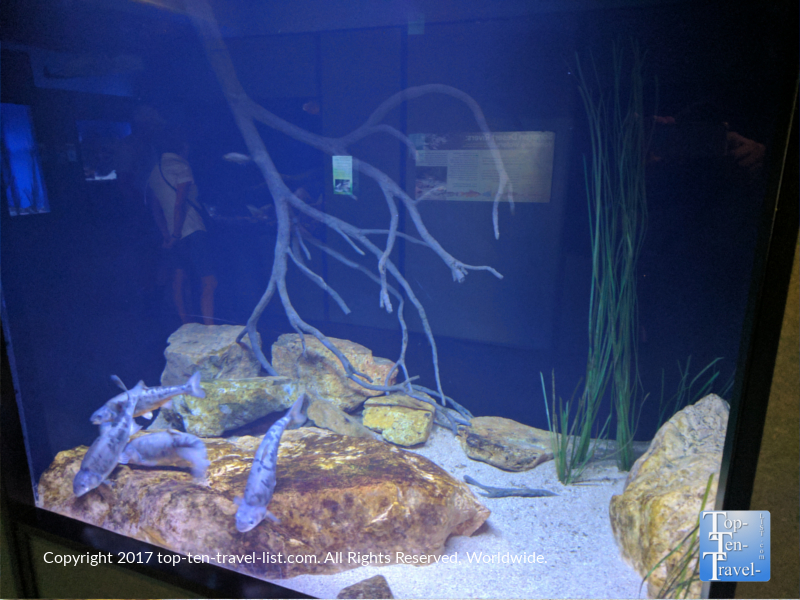 While you could visit the Reid Park Zoo, Tucson Botanical Gardens, and Saguaro National Park, a visit to the Sonoran Museum saves you both money and time as these attractions are quite pricey as well as very spread out. Founded in 1952, the museum has become a favorite of both locals and tourists, and continues to be the most popular attraction in Southern Arizona. 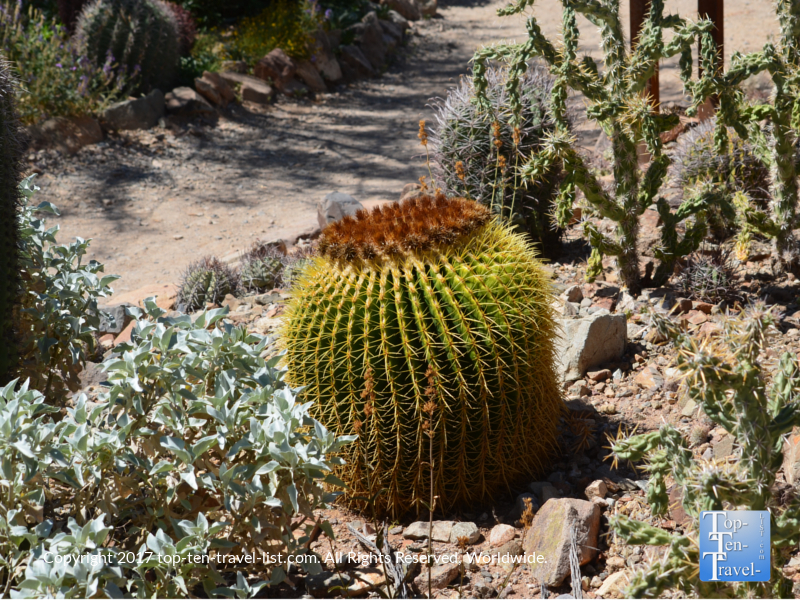 The Sonoran Museum showcases the diverse range of animals and plants native to the Sonoran desert. 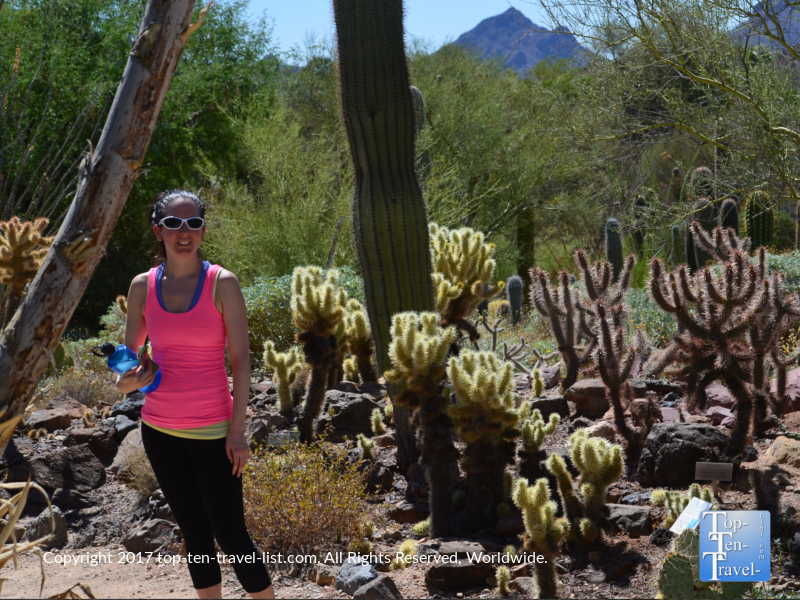 Several miles of scenic trails take you past the natural beauty of the desert. 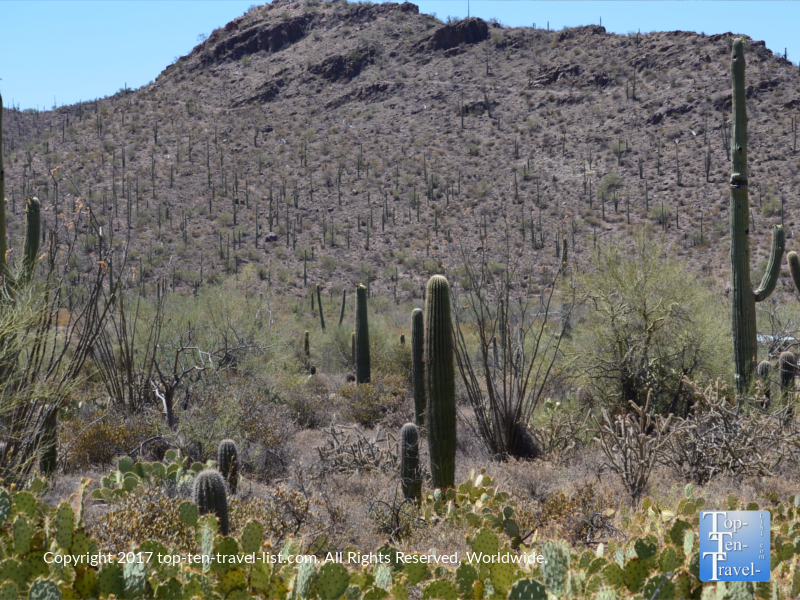 Great mountain views and a diverse variety of desert plant life surround you in every direction. 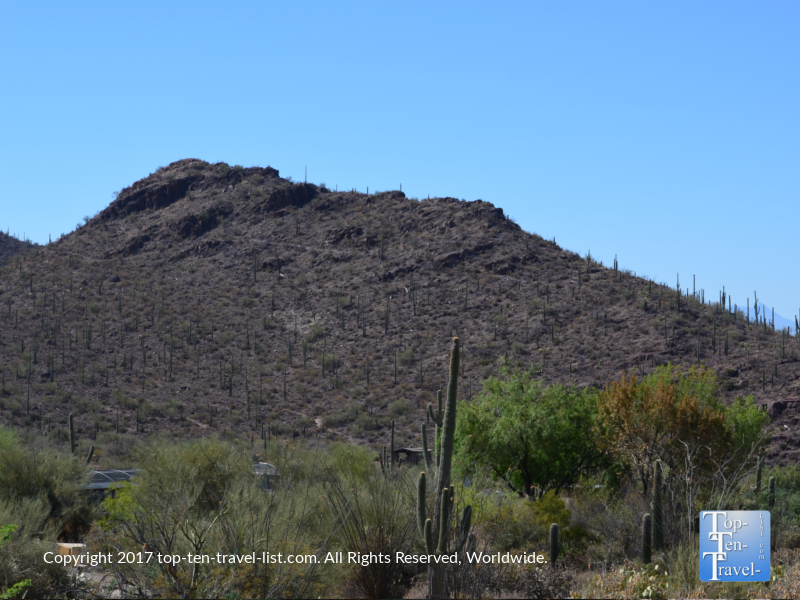 The feeling is very natural, similar to walking a trail at nearby Saguaro National Park or Tucson Mountain Park, although I highly recommend checking out Saguaro National Park during your visit. 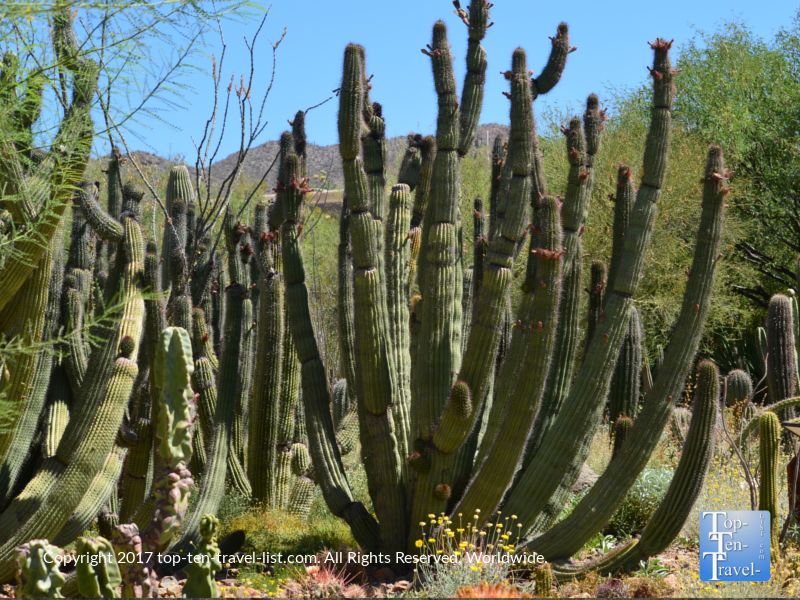 You will get to see dozens of varieties of cacti, including the stunning Saguaro. 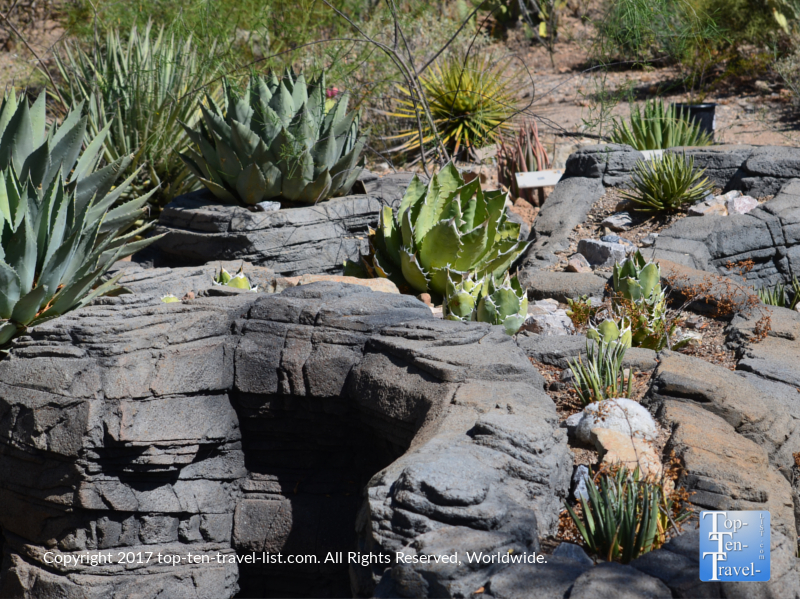 More than 1200 varieties of desert plants can be explored via the botanical gardens. 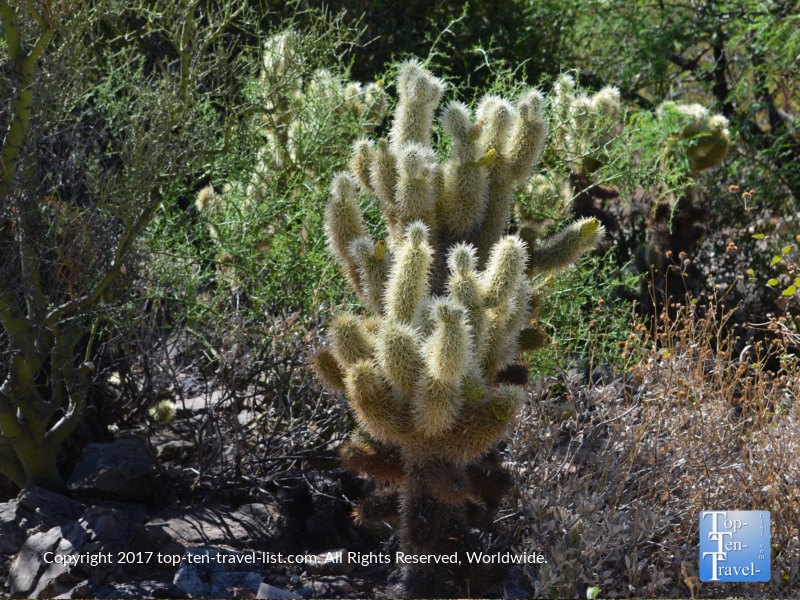 While the botanical gardens are nice, it’s hard for regular hikers to justify paying a premium to visit a garden as we can see the same plants in a more natural setting on any area trail. 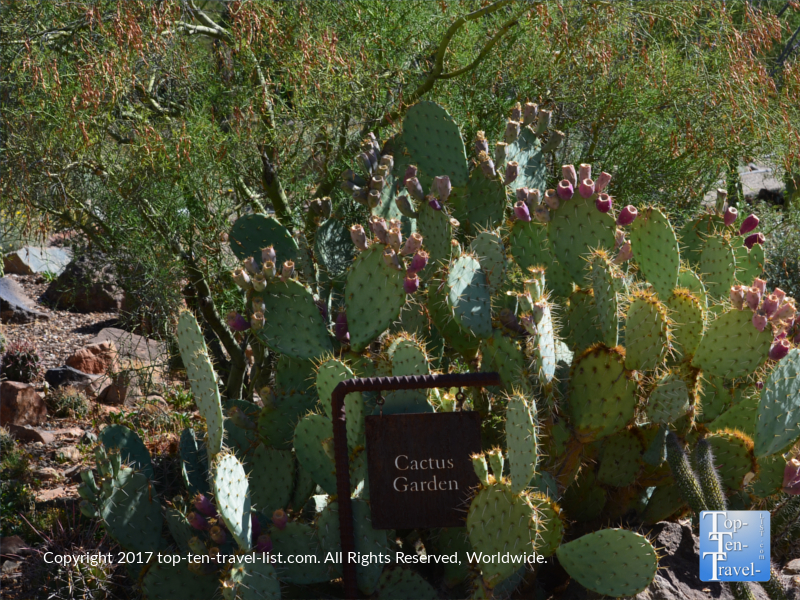 As I am a big hiker, I was not overly impressed with the gardens, although those who are not hikers will probably appreciate the gardens more. There are many gardens to explore here (16 in total), my favorite being the Cactus Garden. The Hummingbird Aviary is another relaxing place to take a stroll and has the major advantage of being mostly shady! 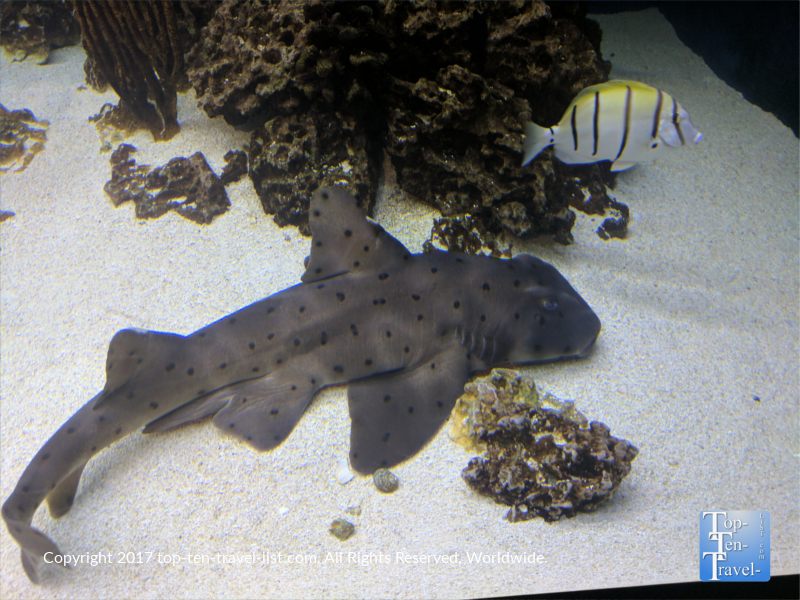 The museum is set up a bit different than your ordinary zoo as the animals are spread out in different sections, and viewable via a number of different trails totaling about 2 miles or so, which creates a more natural rustic setting. 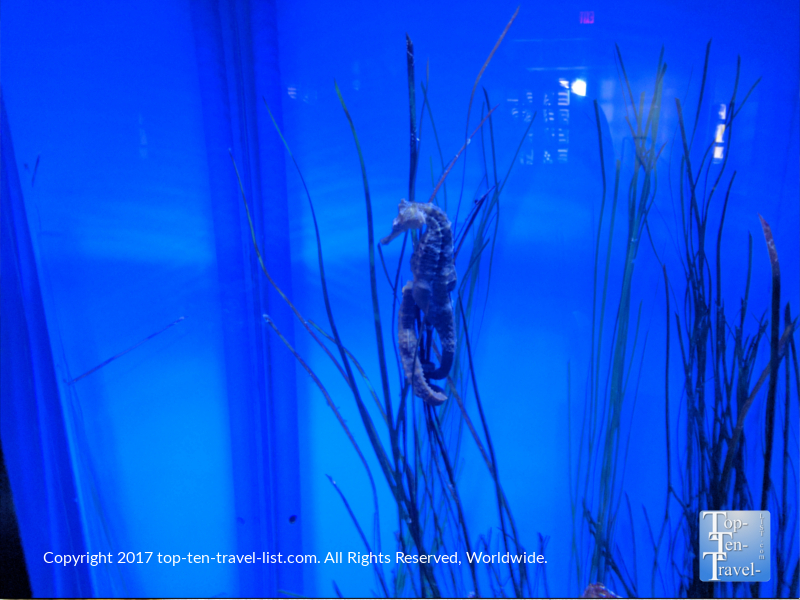 Each animal has plenty of space and the surroundings mimic the natural environment. 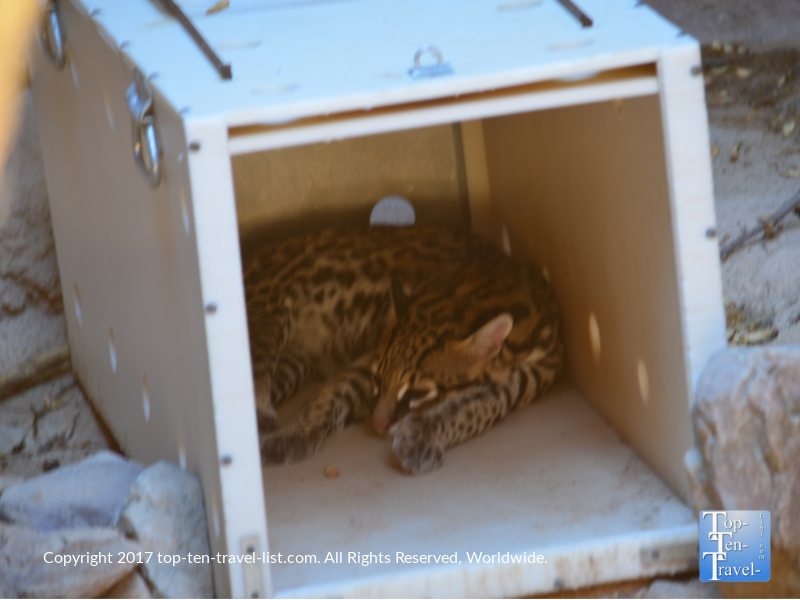 You will not find the typical cage layout at this non profit as the enclosures are more rustic. 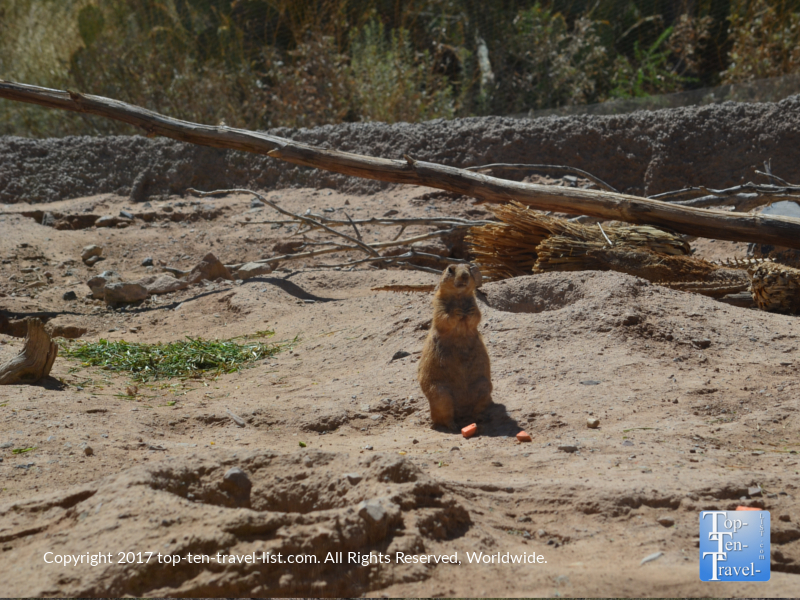 As the summer season in Arizona is unbearably hot, many of the animals will be sleeping or attempting to find shade at this time of the year, so plan your visit during the cooler season if your primary goal is to see as much wildlife as possible. 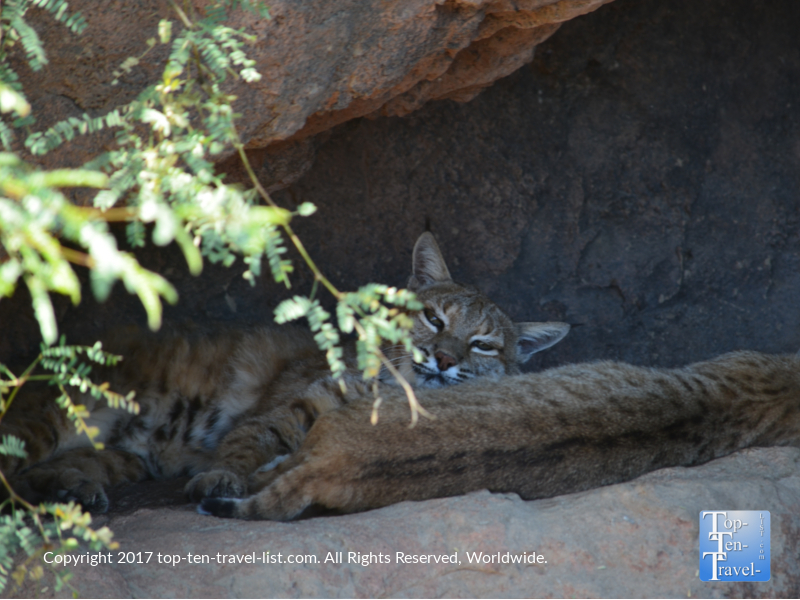 At Cat Canyon, you will see bobcats and an ocelot. The cats are most active in the morning, so arrive early for your best shot of seeing them walk around. You’ll also find foxes and porcupine although they are not likely to be around during the summer! 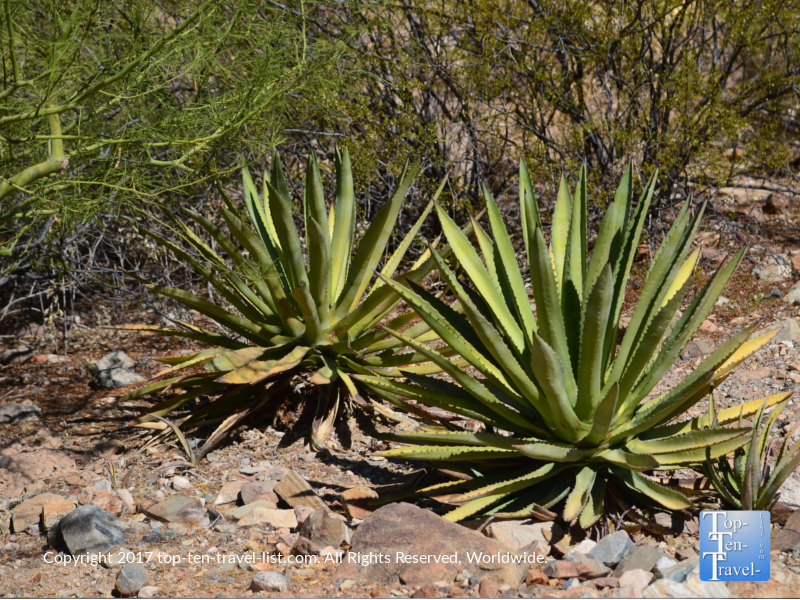 The Desert Grassland walk will take you past a variety of succulent plants including the Yucca. Not really many animals in this area besides the prairie dog, although it’s still a scenic little walk. 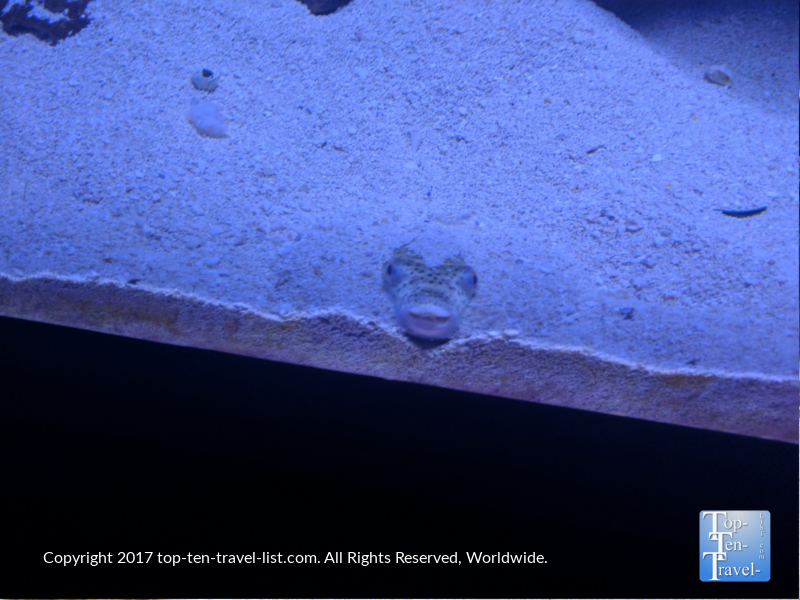 The Life Underground exhibit is home to several species which make their homes underground including the ringtail and kangaroo rat. This area was pretty dark and we couldn’t really see much. If you are short on time, I recommend skipping this section. 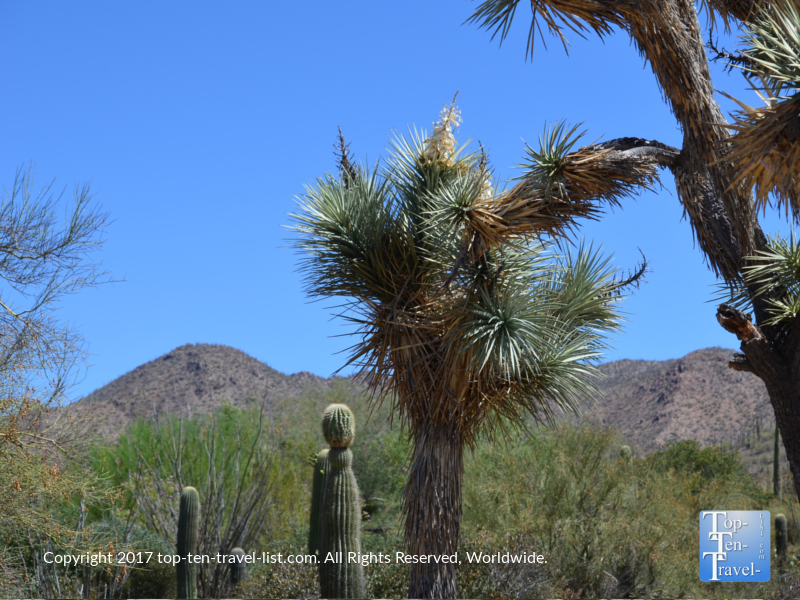 The Desert Loop trail is the longest walk at 1/2 mile and also quite unshady, so get here first if you are visiting during the hot season. The area feels very natural as if you are hiking through the open desert. 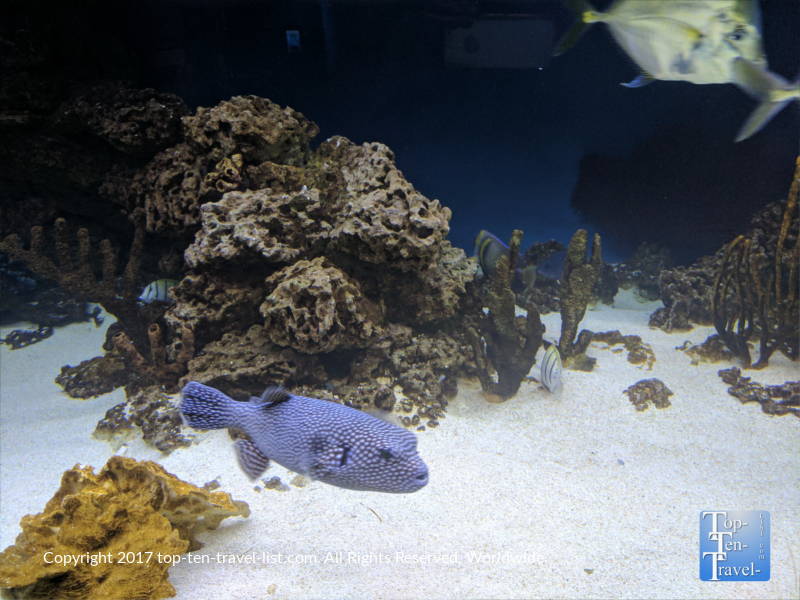 The animal exhibits mimic the natural environment, so it feels like you are seeing wildlife out on a trail versus in a zoo. 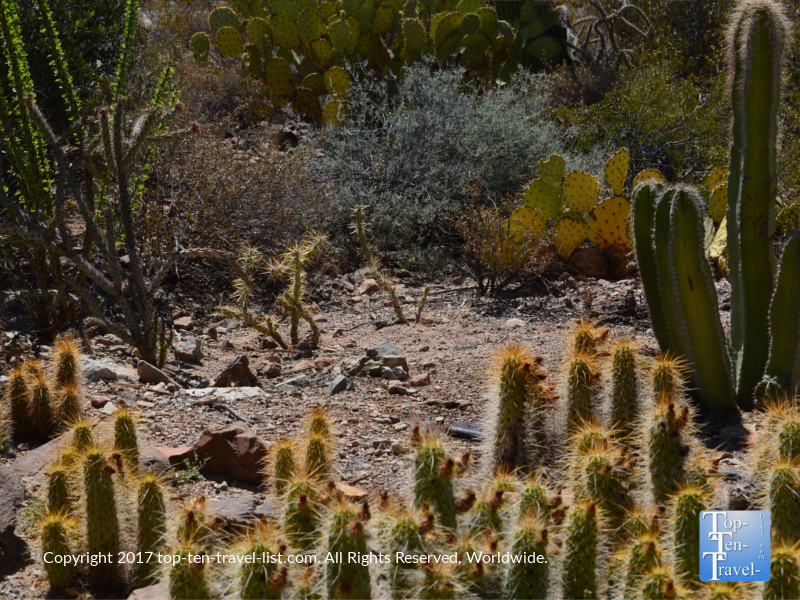 Animals to be seen here include coyotes and javelina, both of which will likely be taking shade during the summer. 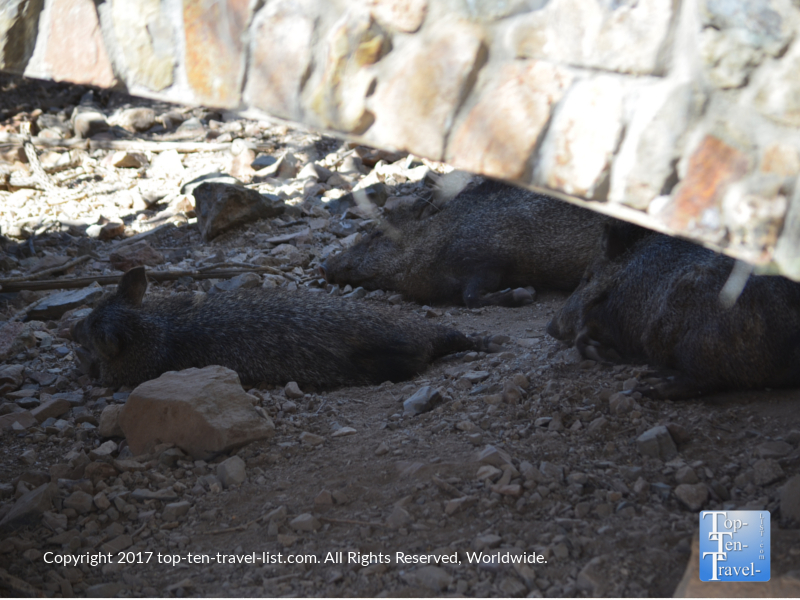 Javelina taking shade on a hot 100 degree morning! The Riparian Corridor features river otter and bighorn sheep, although we didn’t see either during our trip. This section is particularly nice as there is plenty of shade and even a small stream. The Mountain Woodlands is probably my favorite section of the park. 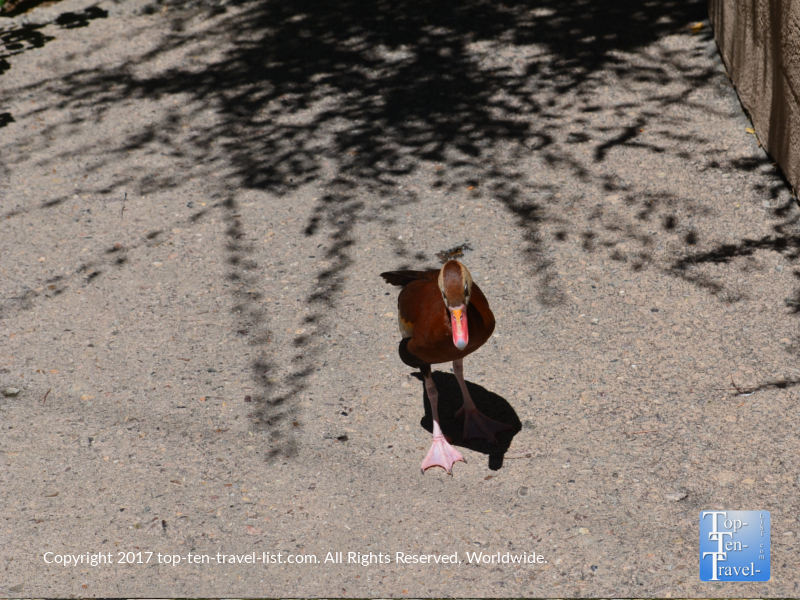 This trail is particularly shady and home to the largest species in the park. 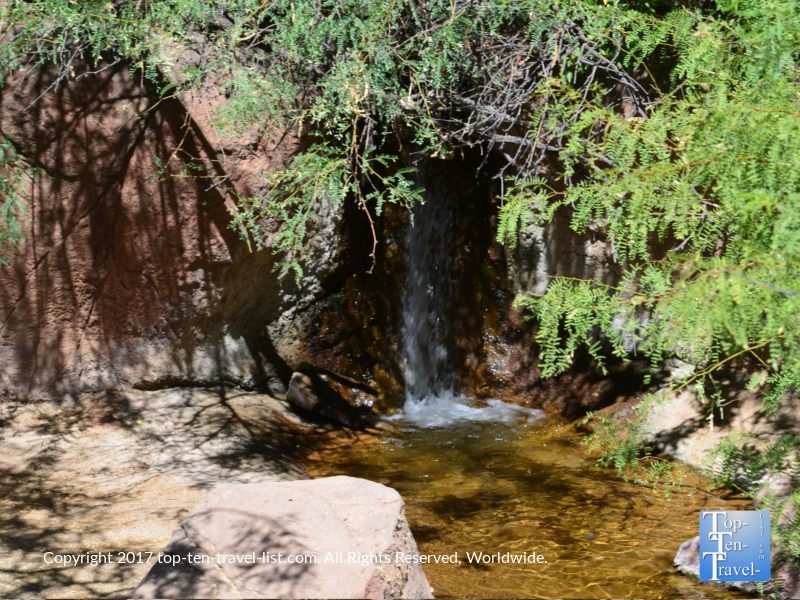 The habitat includes pine and oak trees like you find naturally in the higher elevation mountain areas of Arizona. White tailed deer, a black bear, cougar, and Mexican wolves can all be found here. 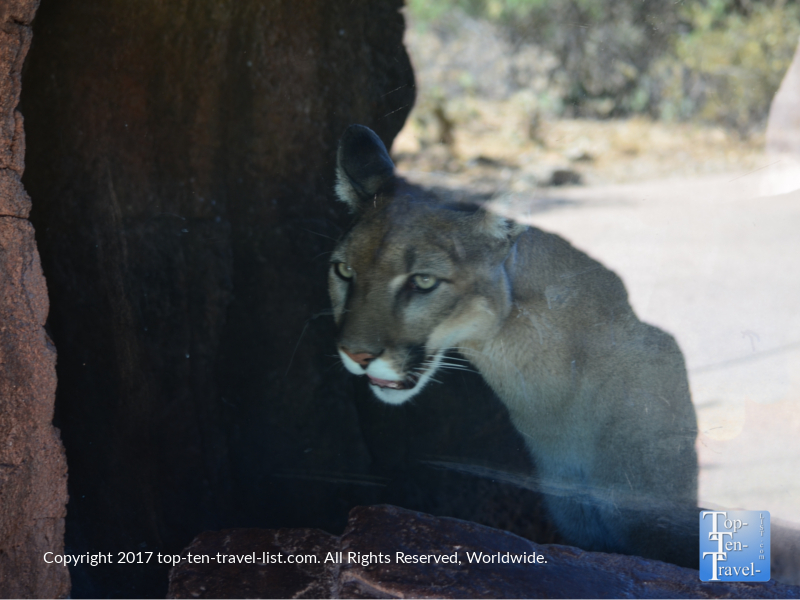 We were lucky enough to see a beautiful mountain lion come right up to the glass! It’s surprising how big these cats are in person! Lets just say I am glad that I have never seen one on any of my hikes! A small aviary and a Hummingbird garden are perfect for birdwatchers. Handy booklets to help you identify various species are available. If you look closely enough, you may be able to spot a few nests and baby hummingbirds! 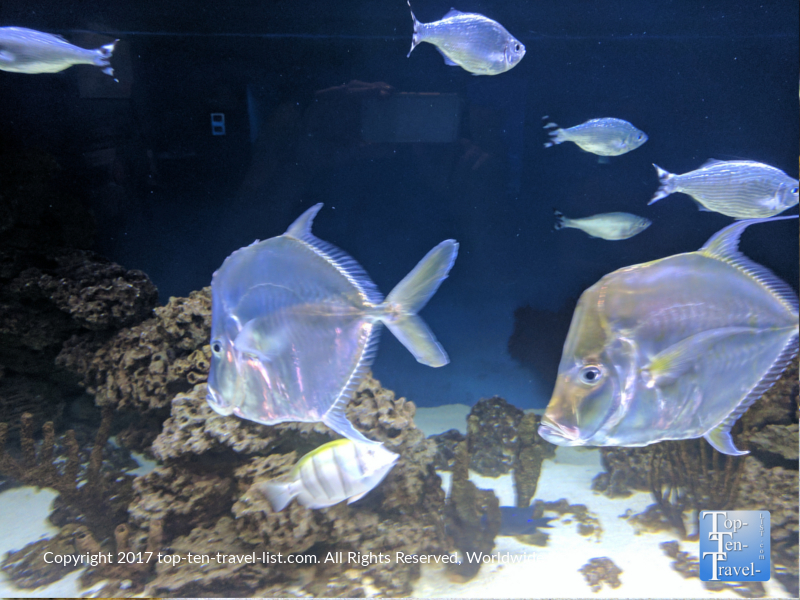 Although most of the museum is outdoors, there are a number of exhibits indoors if you need to escape the heat for a while including a small aquarium, an art gallery, and a cave exhibit featuring an impressive mineral collection. Additionally, there is a coffee shop, 2 restaurants, an ice cream stand, and a small gift shop with all sorts of cute cacti and Arizona themed specialties. 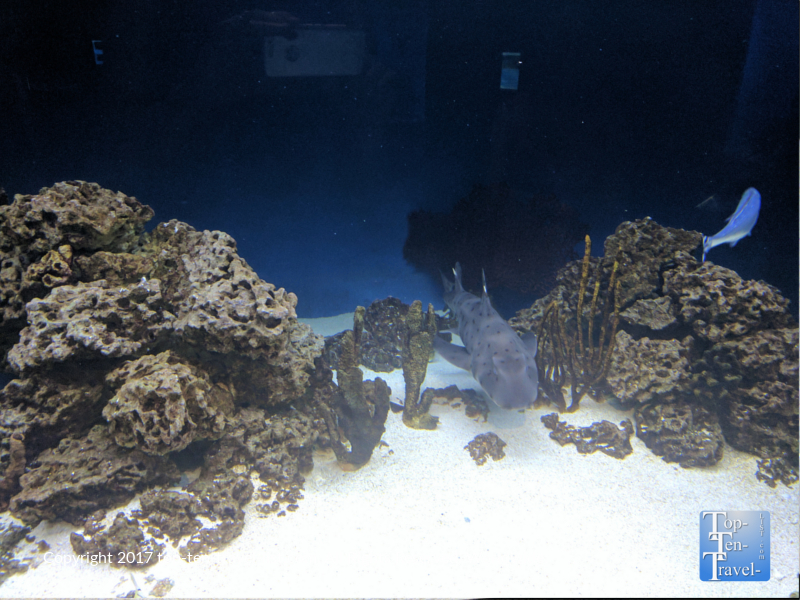 A few pics of the aquarium, which is quite small, although still a nice place to stroll around and escape the heat! 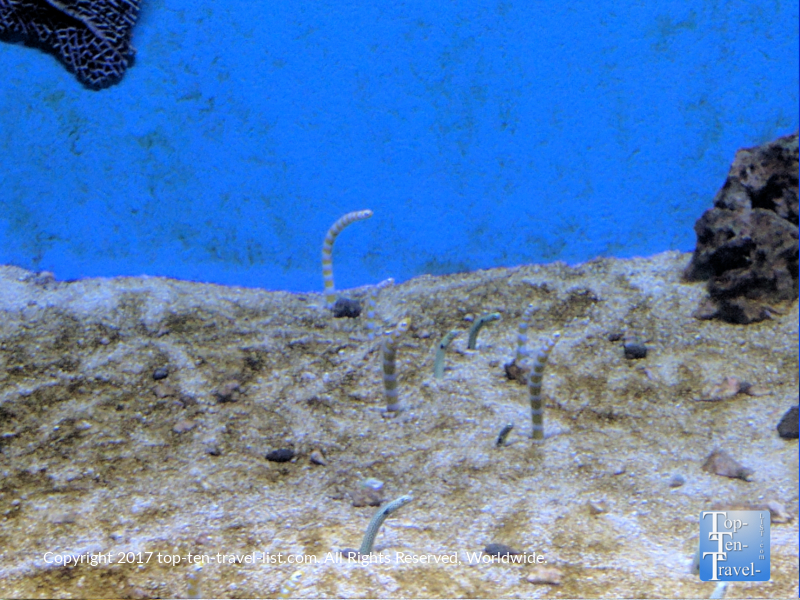 Plus, they have eels and seahorses! Another option for escaping the summer heat is attending the Cool Summer Nights celebration, a special summer nightly event held Saturday nights from May 20th-September 2nd from 5pm-10pm. Honestly, it doesn’t help much with the heat as the temps are typically still in the 90’s, and thus, this is one attraction which is hands down better during the cooler months! Avoid summer visits. Not only is the weather unbearable, but most animals will not be out in this extreme heat. Bring with a water bottle. 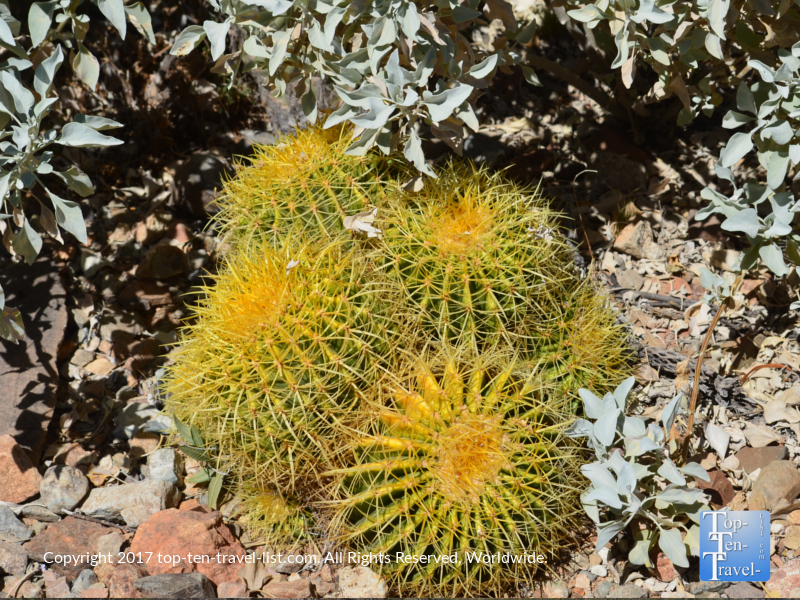 Drink up more than normal in any dry desert climate like Tucson. There are numerous stations to refill throughout the park. Download the Tucson Attractions Passport for $20. 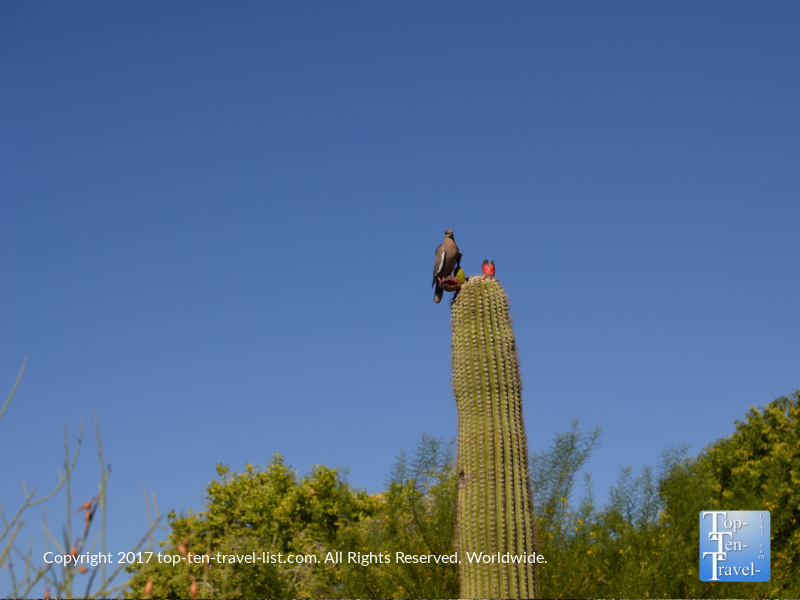 You will find a 2 for 1 discount for the Arizona Sonoran Desert Museum as well as plenty of other valuable discounts. The book pays for itself after one visit to the museum. Arrive right at opening. This will give you some time to walk the grounds without the intense sun shining in your face. Plus, this is the best time to see the cats! As another bonus, it will be less crowded. Wear comfortable shoes. 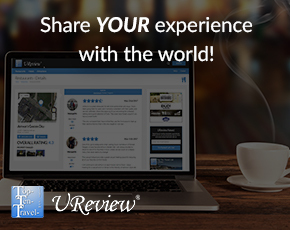 There are several miles of trails here so you will want to dress comfortably. I also recommend workout clothes as you will be sweating! With 2 miles of trails in the intense sun, it feels more like an exercise session than a typical museum visit. Eat breakfast beforehand as the dining options at the museum are pretty limited. The Arizona Sonoran Museum is located at 2021 N Kinney Rd, Tucson, AZ 85743. The museum is open 365 days per year, from 8:30am-5pm from October-February and 7:30am-5pm the rest of the year. On Cool summer nights (Saturdays from May-September) the museum is open until 10pm. 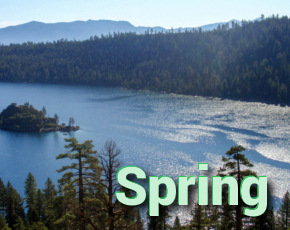 Rates are $20.50 for adults, $18.50 for seniors, $15.50 for Arizona residents, and $8 for children. Wheelchairs and strollers are available for rental.